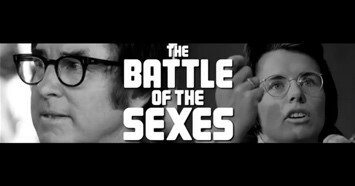 1973: Sporting short-shorts, bad hair and glasses only Austin Powers could love; Bobby Riggs took center court to battle one of women’s top tennis stars, Billy Jean King. The match captured a record-shattering global viewership of 90 million. At stake was far more than the outcome of tennis match. The world tuned in to witness a conversation. 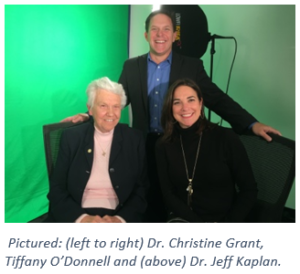 Earlier this week, in an interview with news anchor turned women’s leadership advocate, Tiffany O’Donnell*, former University of Iowa Athletic Director, Dr. Christine Grant, shared vivid memories of the match and marks King’s performance as an important milestone in the growth of women’s sport. Over her career, Grant developed a women’s athletic program with few rivals, posting 12 NCAA Championships and 27 Big Ten titles. Humble and reserved, Christine is the antithesis of the win-at-all-cost mentality. Grant points to the fact that less than 1% (.71%) of all college athletes and only 3 out of a 1000 women athletes will ever play sports professionally. Dr. Grant suggests the value of sport is found inside the athlete, not up on a scoreboard –that real victories spring from testing one’s limits, experiencing cooperative struggle and just plain showing up, when the world offers every excuse not to. Reflecting on the development of women’s sports over her career, she’s both amazed at the progress and steadfast in her conviction that much remains be said in the conversation Billy Jean King started back in 1973. *Tiffany O’Donnell, serves as the COO for the IWLC, one of the nation’s top leadership organizations for women. She conducted the interview as part of a larger book project featuring the accomplishments and unique experiences of women leaders. For more on this interview and the 10 for 10 Women’s Leadership Project, stay tuned to this blog or monitor the latest at www.iwlcleads.org.